Luxor's LLTM24-B LLTM24-B Tablet Charging Station holds and charges up to 24 iPads or Android Tablets. With locking front and rear access doors your tablets stay safe while being charged. The unit is ventilated on all 4 sides to keep temperatures down when units are being charged. Luxor's LLTM24-B Tablet Charging Station holds and charges up to 24 iPads or Android Tablets. 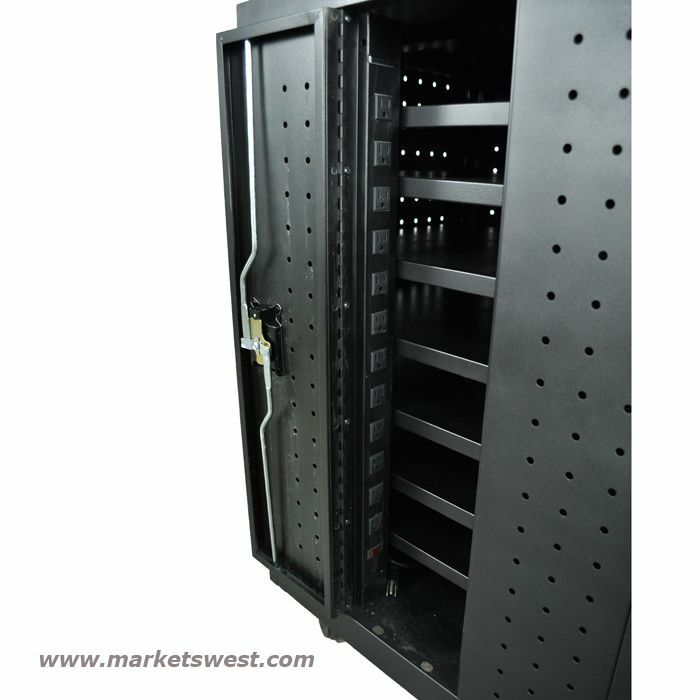 With locking front and rear access doors your tablets stay safe while being charged. The unit is ventilated on all 4 sides to keep temperatures down when units are being charged. 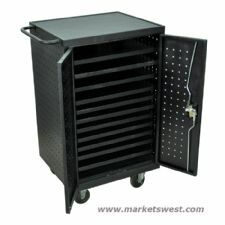 Includes four 4" casters, two with locking brakes. Local Delivery Available in the Metro Phoenix and surrounding areas. For shipping outside these areas FedEx Ground Delivery is available. 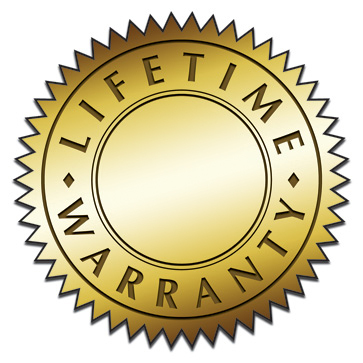 All Luxor products are covered by a manufacturer's Limited* Lifetime Warranty against defects and workmanship. Any product that is defective in either materials or workmanship will be repaired or replaced at the manufacturer's discretion. This warranty does not cover damage in transit or any modification to the product by the customer. This warranty is for the life of the product provided the product is used for its intended purpose and used with weight loads not exceeding those recommended.